We definitely knew this was coming, and coming soon too. 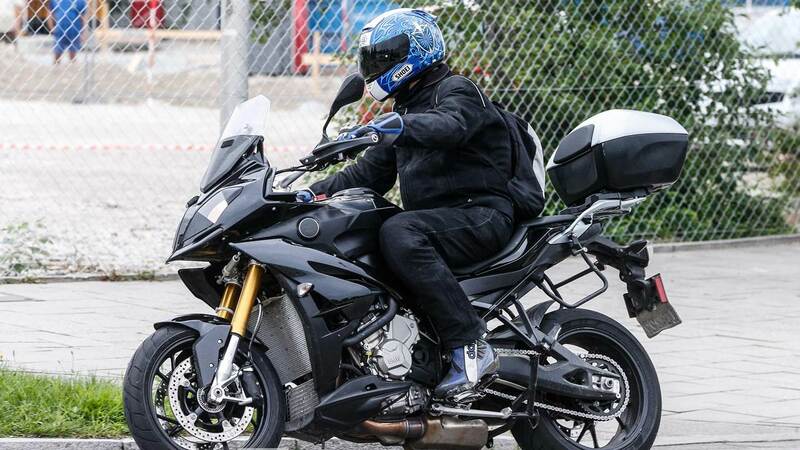 Now finally we have some clear photographs of the production ready 2015 BMW S1000RR. This new BMW is a more sporty take on the brands already iconic adventure touring line up. Based on the S1000R, this new machine will come with all the trademark BMW electronics and then some more to make it versatile. Clearly although not an outright off-road machine, it surely can handle what most riders can throw at it, making it a tough choice not just over its nearest competitor the Multistrada, but also within its family, with the GS. Electronics will include, traction control, ABS, electronic suspension and the latest Bosh stability control unit. Launch to be either at the Intermot of the EICMA later this year.